Some people call me dramatic. I like to say I exaggerate for effect. But everyone admitted my freak-out was warranted when, three weeks before my wedding, I found myself without a wedding dress. I want to blame the downtown boutique that sold me my first dress (traumatic details on that below), but looking back, I realize that every predicament I found myself in was actually preventable — it’s just that I didn’t know what to expect. Allow me to spare you from making the mistakes I made. 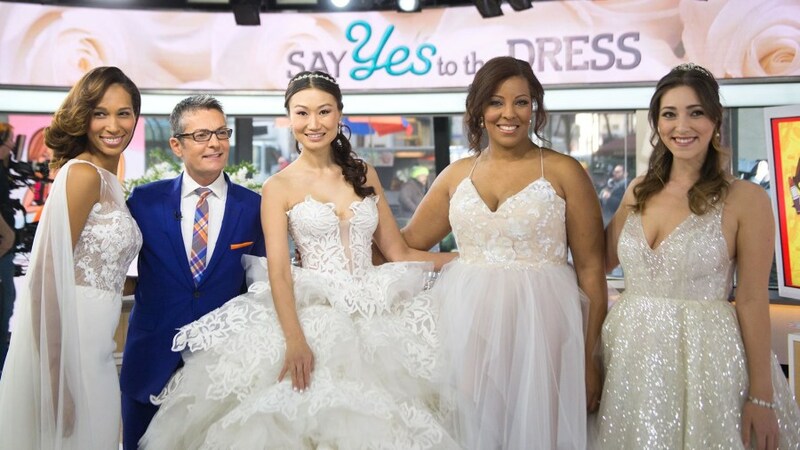 There will not be a crowd of 12 hooting, hollering or happy-crying when you walk out in “the dress.” Most stores (including Kleinfeld, where #SYTTD films) only let you bring two people — maybe three — to your appointment. My tip: Invite the most honest person you know and the most sensitive person you know. My mom (honest) would tell me if a dress flat-out didn’t work (after trying dozens on, sometimes you lose touch with reality). And my aunt (sensitive) told me I looked beautiful in everything. And my friends stayed home. 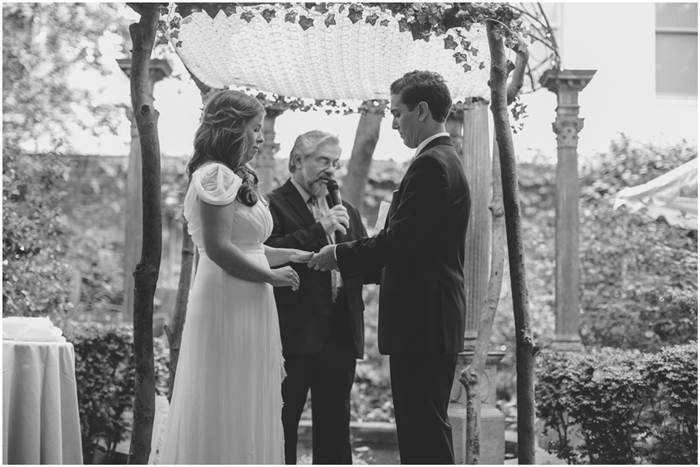 My hubby and I got married at the quaintest bed-and-breakfast in Philadelphia. 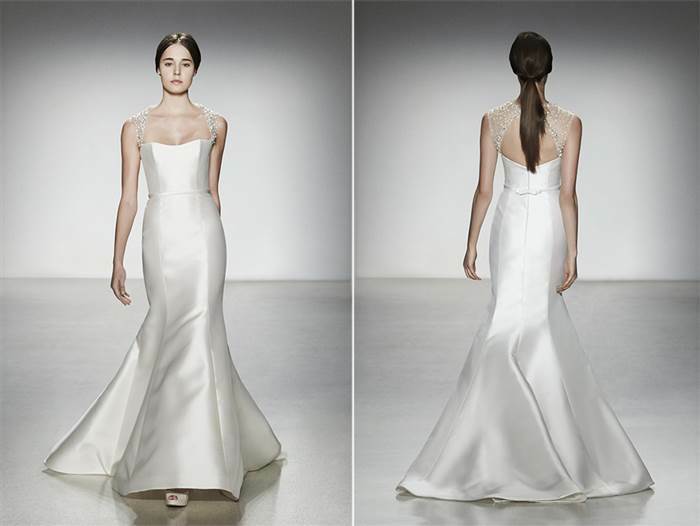 Ninety percent of the wedding dresses you’ll look at will be strapless, which makes absolutely no sense when you think of how few real-life dresses are strapless. I was talked into buying a strapless dress — “Have an open mind!” — even though I’ve never worn one in my life. (Except when those Juicy Couture felt-y dresses were briefly a thing. Was that Summer ’05?) 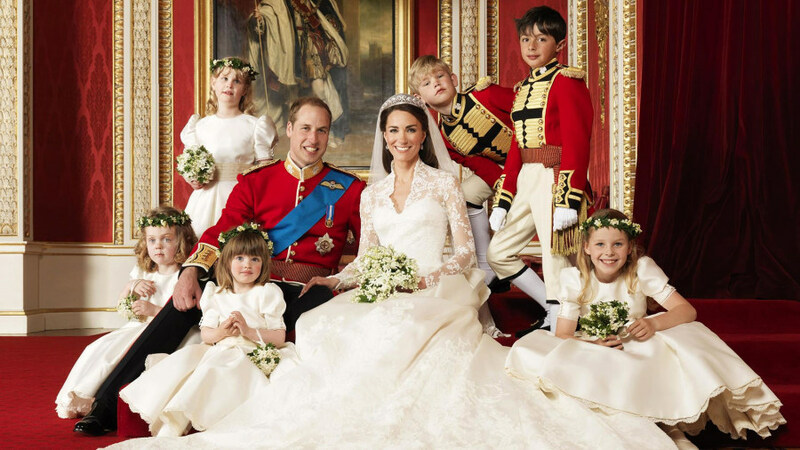 Your wedding day is not the day to try a new style. I was told the sample I tried on would work when it arrived in my size — that I wouldn’t even need a bra. (That should have been a red flag; I have a size D cup). When my strapless dress arrived, I was shocked to find it offered no support to my rack. When I brought it to a seamstress, she suggested spaghetti straps. SPAGHETTI STRAPS. If the dress comes in and does not work on your body (did I mention the spaghetti strap suggestion? ), you’ll want the store that sold you the dress to feel invested in the final result. Plus, in-house seamstresses are familiar with the dresses on their boutique’s racks, and know ahead of time what’s possible and what’s not. I took my ill-fitting strapless dress to the (relatively) cheaper of two recommended seamstresses for a fitting. After hearing I needed to deconstruct the entire dress over the course of a month to make it work (“You have large breasts! You need a bra!”), I took it to a pricey New York City tailor. 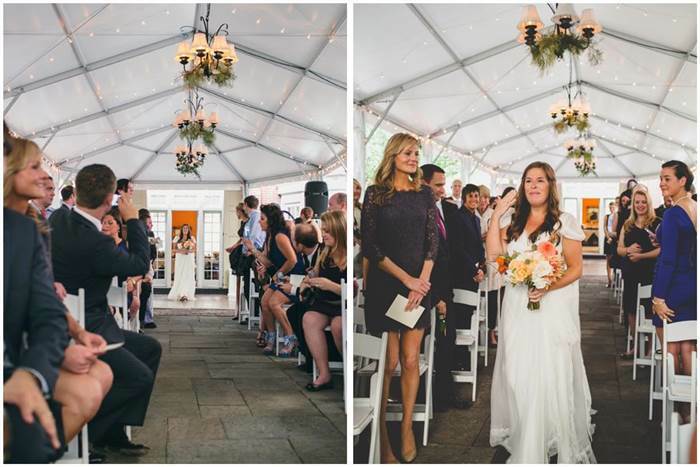 She didn’t fix the dress I hated, but she offered lots of options — and she didn’t make me cry. This is me crying. Not because I am marrying my best friend, but because I finally found a dress. This is the part where I return the strapless dress. Until I found myself without a dress just 20 days before my wedding, I didn’t consider wearing a pre-owned dress. But, while waiting for my last-minute J. Crew appointment, I scoured the Internet for other off-the-rack options, and found that one I absolutely loved — a whimsical Alberta Ferretti gown WITH straps (not spaghetti!) — was being sold for one-third of its original cost by a girl within driving distance. I made it to her apartment, tried on her dress (which was in perfect condition, having only been worn once) and wrote her a check. I’m not the only bride to deal with wedding dress drama; when I shared my saga with coworkers, everyone seemed to have a helpful tip — the kind of advice that could have saved me a lot of stress. 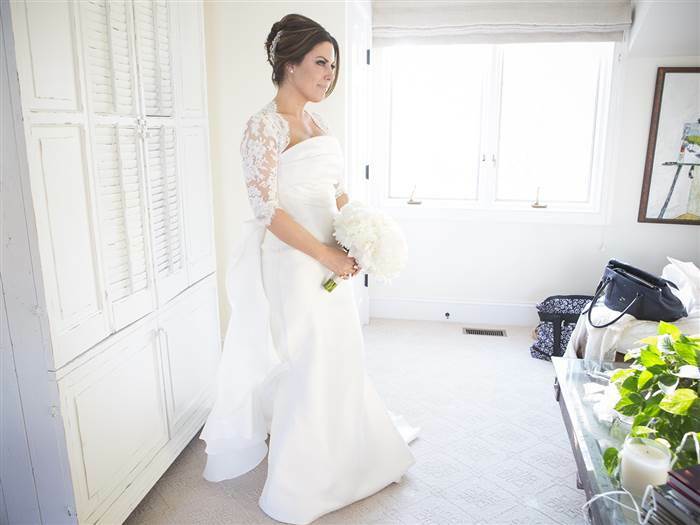 Bobbie Thomas married in a Le Spose di Gio gown on May 31, 2013. 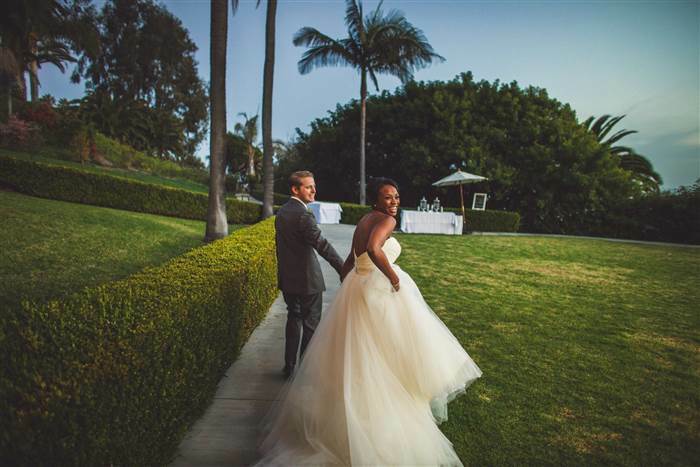 Charisse got married at the Bel-Air Bay Club in Los Angeles. 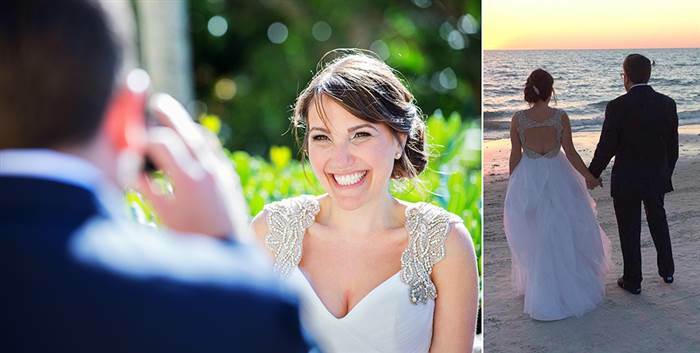 Katie was married in September 2014 at Cape Cod — here’s a dress style she considered. Vivian married at the Ritz-Carlton in Naples. 14. Go to a store where you can actually walk through and touch dresses, feel fabrics, etc. 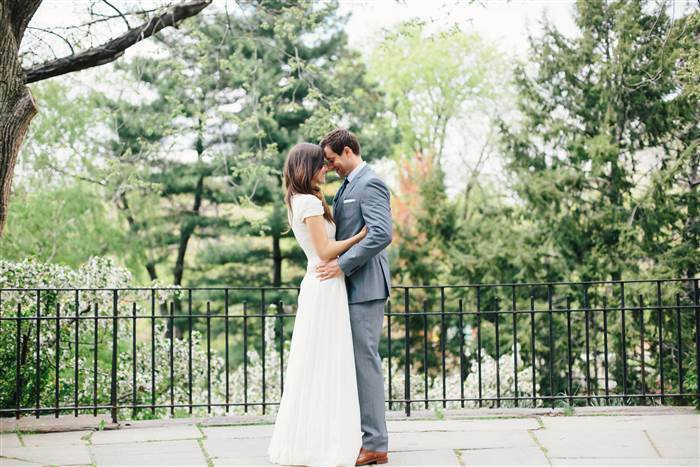 Amy married in a church on Manhattan’s Upper West Side. Meena and Adam Duerson wed in Montauk in September of 2011. It’s normal to regret your wedding dress in the months between buying it and actually getting to your fittings, since you don’t get to spend that much time in the dress before you have to pull the trigger — and then you have to wait so long for your actual gown to arrive. I bought a dramatic, mermaid-style dress — exactly the opposite of what I thought I would end up with — because when I put it on, it felt amazing and fun. But in the months before my fittings, all I had to remember it by was a blurry photo snapped by one of my friends from a bad angle, and I started to feel like I’d made a huge mistake. I couldn’t stop thinking about another dress I’d almost bought, a slim, silky cut. As I waited for my dress to arrive, this other dress loomed large in my memory. But sure enough, when I finally put my dress on, the original feelings flooded back — I was so happy! — exactly what I wanted.